End game atmosphere in Munich’s Olympiastadion. In head-to-head duels at the 1.192 kilometres long track, the 18 DTM drivers showed the spectators thrilling motorsport action. Mercedes-Benz driver Bruno Spengler made it all the way from the round of the last 16 to the finale and won the decisive battle against Audi driver Edoardo Mortara, who had been unbeaten until then. “This is just fantastic. Winning in front of so many people and in such an incredible atmosphere is simply great. For five seconds, I felt like being on a different planet. I was having great fun”, the 27-year old winner said. On his way to the overall win, Spengler had beaten, next to his final opponent Mortara, his fellow Mercedes-Benz drivers Christian Vietoris and Jamie Green and Miguel Molina (Audi). Mortara defeated Renger van der Zande, David Coulthard and Susie Stoddart (all Mercedes-Benz). Vietoris and Van der Zande were tied in third place. While the drivers had to complete three laps in the round of the last 16 and four laps with a pit stop in the quarter and semi-finals, the finale was scheduled for two heats of five laps with one pit stop each. When Mortara hit the wall and damaged his car, the finale was stopped and Spengler had secured victory. “I have given everything and I only made one mistake throughout the weekend. Too bad that it happened in the finale. That was it. But it also shows that we are on the limit all the time and that a little mistake can have a huge effect. Still, I have enjoyed the weekend in Munich very much”, Italian driver Mortara said. The DTM’s premiere in a stadium was a huge success. 54,000 fans over the weekend wanted to see the most popular international touring car series live and trekked to the Olympiapark. Motorsport up close was the motto. The DTM drivers were approachable as ever, took part in autograph sessions and were available for personal souvenir photos. Demonstration rides with the Mercedes GP and Red Bull Racing Formula 1 cars also provided Formula 1 feeling in the Bavarian capital. Nico Rosberg also enjoyed the extraordinary atmosphere and thrilled the fans with doughnuts and loud engine sounds. Swedish top act Mando Diao, Kensington Road and the old rock stars of The Rattles were the musical highlights of the DTM event. Numerous VIP guests followed the stadium action that was presented in an entertaining way by Christina Surer and comedian Atze Schröder. While the creative director of Disney and Pixar (among others ’Cars’), John Lasseter, enjoyed a passenger ride with a race taxi on Saturday, football world cup winners Andreas Brehme and Karl-Heinz Riedle were behind the wheel themselves as they took part in a VIP race of the Volkswagen Scirocco R-Cup. Riedle came out on top and left the Olympiastadion as the winner, just like he had done after the 1990 World Cup Final in Rome. Ex-Formula 1 and DTM driver Mika Häkkinen, actor Bettina Zimmermann and Bayern Munich’s new signing and keeper of the German national team, Manuel Neuer, visited the DTM event in Munich. “This is my first visit to the Olympiastadion. Unfortunately, I have never played here. Too bad, as the atmosphere is great”, said Neuer. 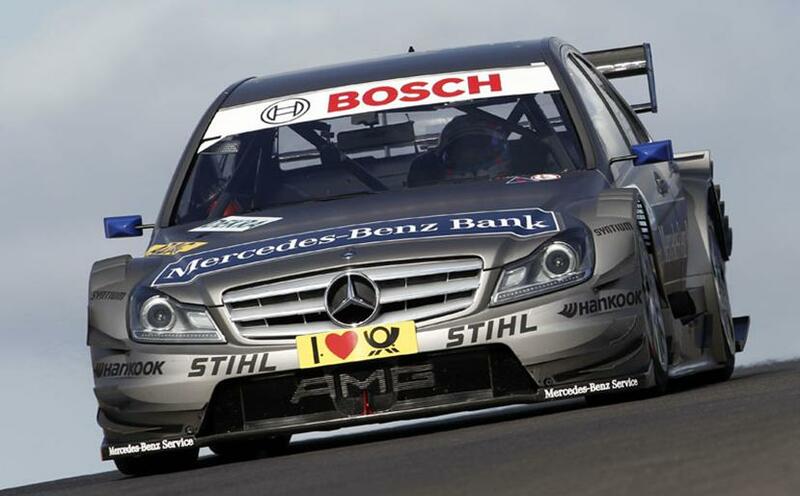 The sixth DTM race weekend of the year will be held at the Nürburgring in the Eifel region from August 5th till 7th.